Elevation drawing from “Better Homes for Budgeteers.” Royal Barry Wills (1895-1962) Architect. The archive of a famous New England architectural firm will soon be accessible at HistoricNewEngland.org. Historic New England recently secured a $150,000 Museums for America grant from the Institute of Museum and Library Services (IMLS) to support a two-year project to catalogue, clean, rehouse, digitize, and provide online access to the Royal Barry Wills Associates Archive. 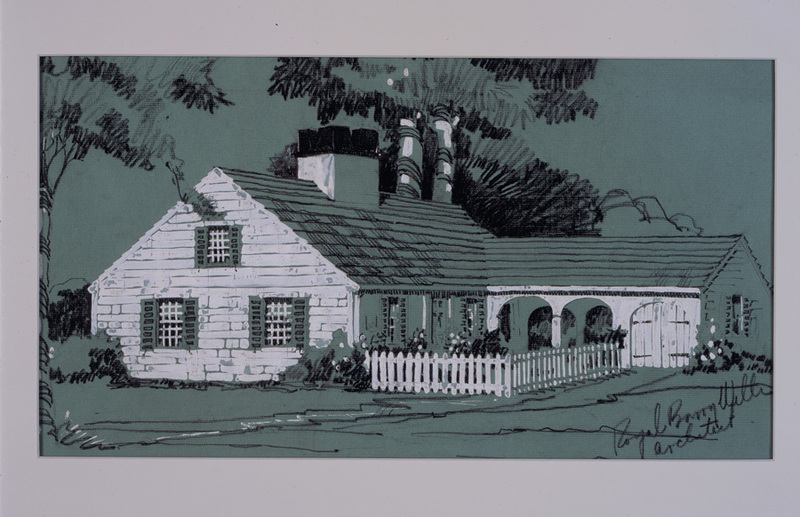 This collection documents the history of the Boston-based architectural firm founded in 1925 by Royal Barry Wills, one of America’s most popular architects and master of the Cape Cod-style house. From the 1920s to the 1960s, Wills designed 2,500 single-family residences, authored eight books about architecture, hosted a radio program, lectured widely, received numerous awards, supplied “Home Building Plans” for a number of newspapers, and was the subject of feature articles in Life, The Saturday Evening Post, and Good Housekeeping. In 2013 Wills’ son Richard donated the company archives to Historic New England. 27.5 linear feet of scrapbooks, publicity files, original manuscripts, and accompanying illustrations, reference resources, miscellaneous photographic materials, recordings, speech scripts, certificates, and diplomas. The Royal Barry Wills Associates Archive is a significant addition to Historic New England’s architectural holdings, which are a primary resource for the study of New England architecture. They document the work of more than 400 architects practicing from the late eighteenth century to the present. Explore our architecture collection.